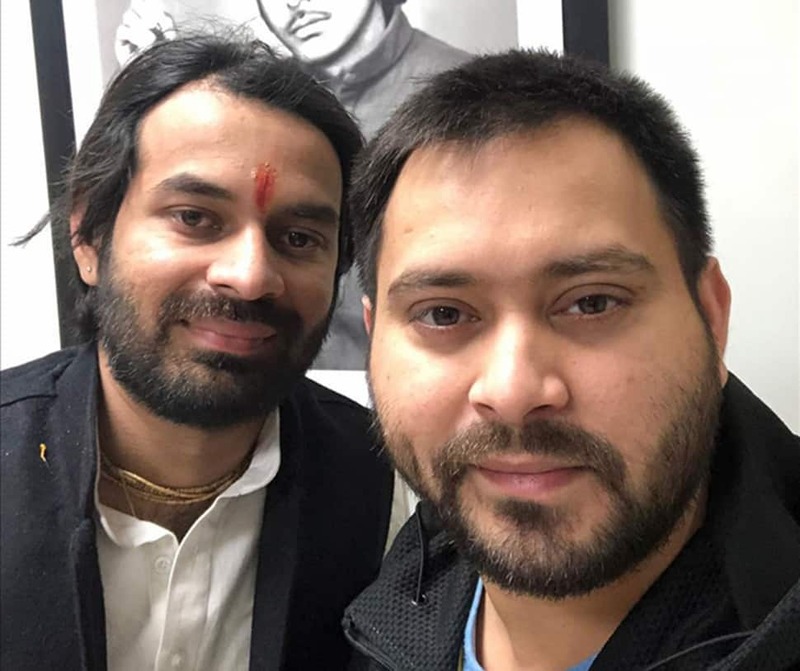 Lalu Prasad's elder son Tej Pratap Yadav met his younger brother Tejashwi Yadav for a "political" meeting on Saturday. 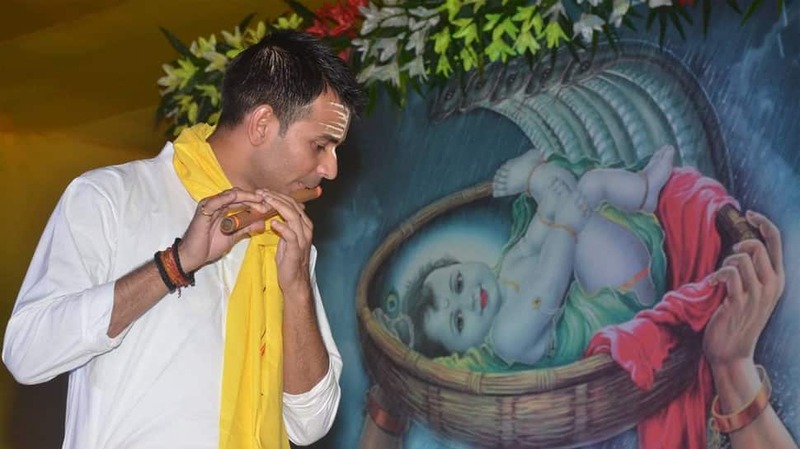 After the meeting, Tej Pratap said that he saw Tejashwi as "Arjuna" whom he would assist like Lord Krishna, in winning the electoral battle in Bihar. 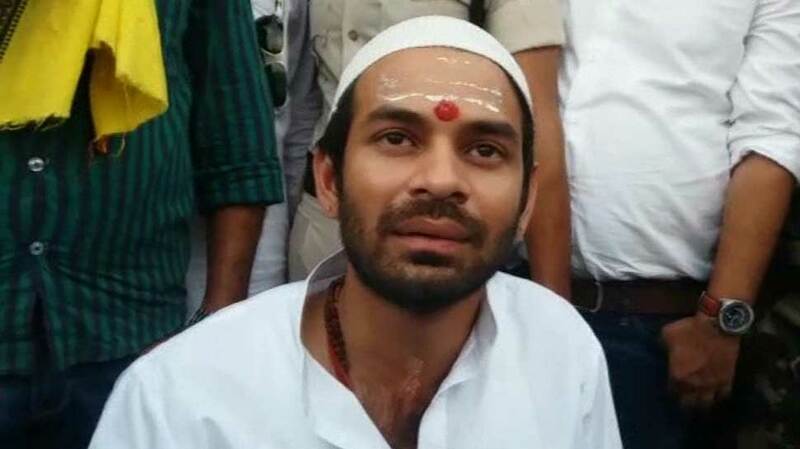 Donning a 'Kurta-pyjama' and a waistcoat with a muffler wrapped around his neck, Tej Pratap Yadav drove to Tejashwi's bungalow at 5, Desh Ratna Marg in Patna. Emerging after the nearly 45-minute long meeting, Tej Pratap Yadav said: "We held only political discussions. Things like how to make our party stronger and take Lalu's dream forward. Tejashwi is my Arjuna and I will see to it that he occupies the throne." 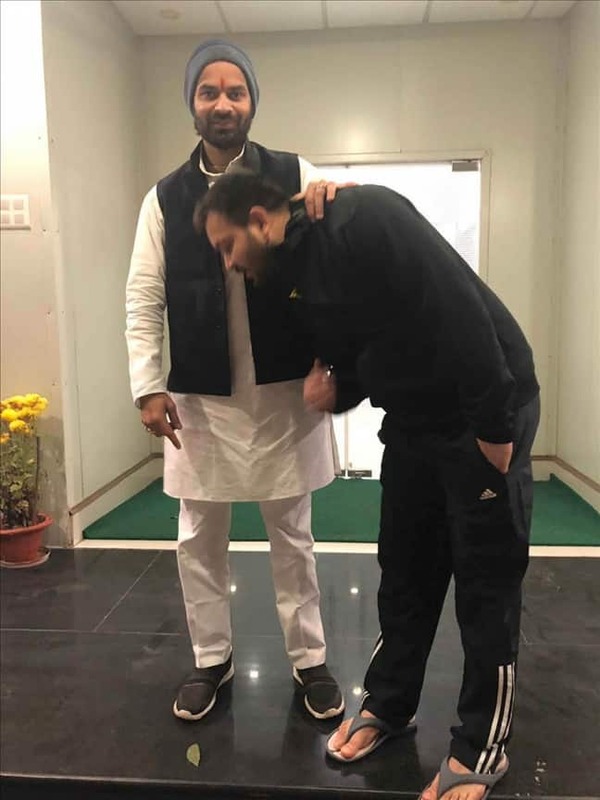 Tejashwi Yadav greeted his elder brother by touching his feet and Tej Pratap responded by placing a hand on his younger brother's head. The meeting took place four days after Tej Pratap met their mother Rabri Devi. Tejashwi was in Delhi at that time. There have been speculations that the elder brother has been uneasy over the growing clout of the younger one within the party, who was named as the RJD's chief ministerial candidate, more than a year ago. Tej Pratap Yadav had on Thursday also announced, out of turn, the candidature of his sister Misa Bharti from Pataliputra Lok Sabha constituency. However, he made it clear on Friday that any party candidate would be finalised by the party's parliamentary board after due approval from Lalu Prasad who is the national president and is at present in Ranchi serving sentences in a number of fodder scam cases. 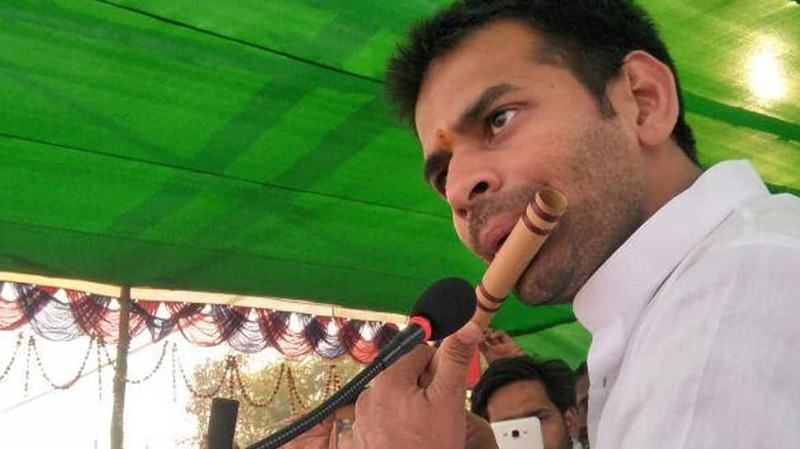 Tej Pratap, the former Bihar health minister, has been keeping a low profile for several months on account of differences with Tejashwi and estrangement with his wife of six months. After meeting his father Lalu in the Ranchi hospital in December, he had said: "It was a long time since I met my father. I became emotional. I love him. My father is my God---Krishna, Vishnu and Mahadev." In the meeting with Lalu, Tej Pratap claimed that his father told him "to take the party forward". He had then as well said that he saw Tejashwi as "Arjuna" and vowed to play the role of Lord Krishna who was the warrior prince's charioteer in the epic Mahabharata. 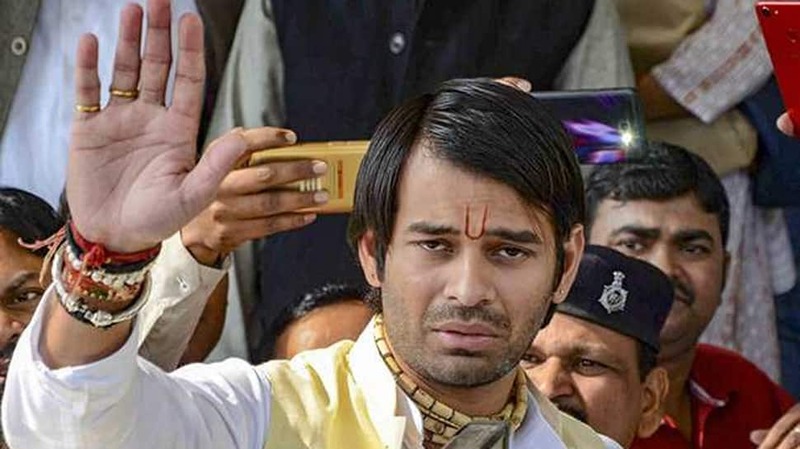 The over two-hour meeting between Tej Pratap and his father took place at the Rajendra Institute of Medical Sciences, where the Rashtriya Janata Dal (RJD) chief is undergoing treatment for various ailments after being convicted in fodder scam cases. Tej Pratap had on November 3 met Lalu after deciding to part ways with his wife. He had reportedly gone missing after filing for divorce.